After studying chemistry, John became an industrial chemist but after 3 years in that profession, a career change beckoned so John exchanged the laboratory for the bus industry and more studies, becoming a fully qualified Chartered Member of the then Chartered Institute of Transport. Not content with this, John also graduated with a BSc. in Economics. He joined Greater Glasgow PTE in 1978 and having gained experience in a variety of roles, he was appointed Bus Project Officer with responsibility for special projects. 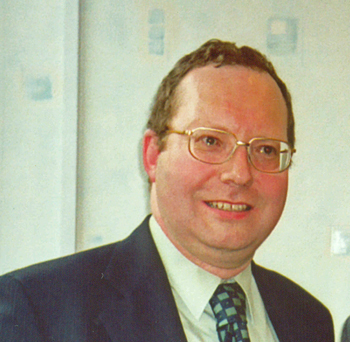 In 1996 he took up an appointment with responsibility for monitoring contracts secured by Strathclyde Partnership for Transport on behalf of 11 councils in the west of Scotland. He is now SPT's Compliance Support Officer with a wide range of responsibilities relating to ensuring that contractors meet the standards expected and bus operators operate in accordance with SPT's expectations. He also has responsibility for ensuring contractors meet their contractual and legal obligations. He became a Chartered Member of the CIT in 1983 and was elected a Fellow in 1995. He was for 20 years, a part time lecturer in transport subjects at Glasgow's Central College of Commerce, later incorporated into the City of Glasgow College. John was Scottish Regional Chairman of the Chartered Institute of Logistics & Transport 2007-9 and has served on the Committee in one capacity or other continuously since 1990. Awarded the Chartered Institute of Logistics and Transport's Certificate of Meritorious Service in July 2007, John is still a Scottish Region Committee member and also looks after the Scottish Region website. A former marathon runner in aid of charity, he can now be found enjoying less arduous pursuits in his spare time when not working on this website or playing with a camera!